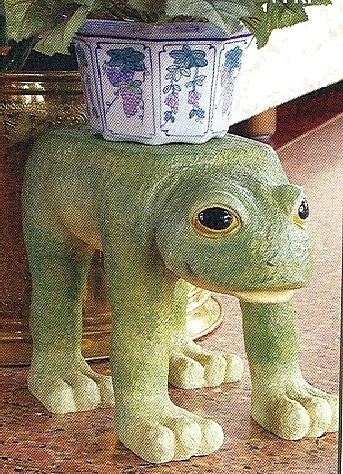 Add a whimsical addition to the halls with this frog plant stand which will surely serve well as a seat for a young child. The frog stand adds a creative interest to an indoor and outdoor interest. Made of resin with marble aggregates.